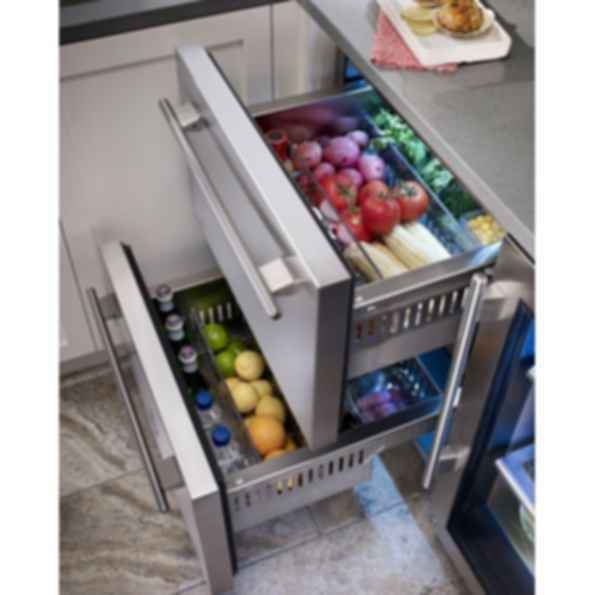 Each refrigerator has a stainless steel exterior with automatic defrosters and adjustable thermostats. 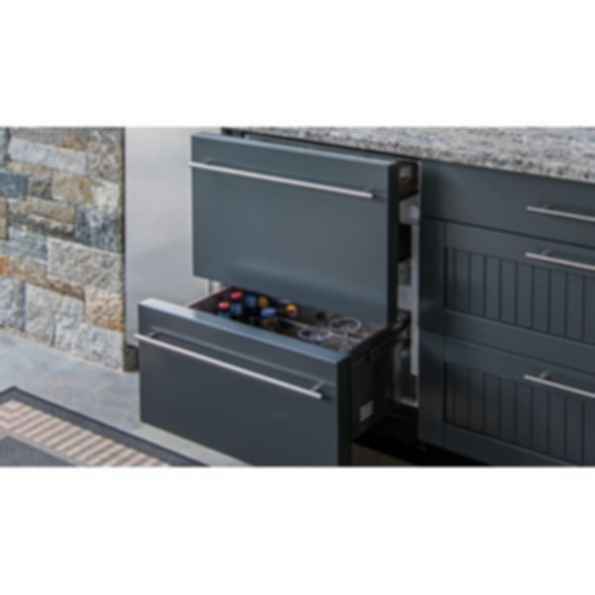 Summit two and three drawer refrigerators are fully constructed from non-corrodible 304-grade stainless steel and incorporate three levels of weatherproofing, along with a sealed back that protects all electrical components. 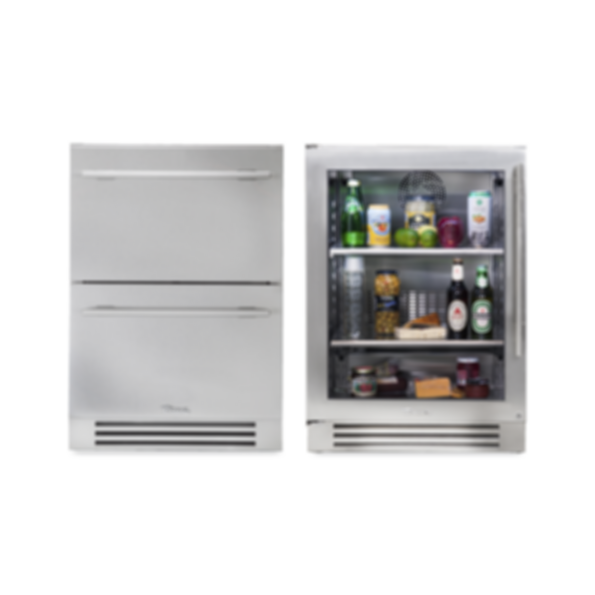 At just 24" wide and 25" deep, these units are perfect for outdoor settings with limited room for larger appliances. True Manufacturing, another refrigerator supplier, fabricates beverage centers and under-counter refrigerators using the highest quality materials to ensure colder beverages and durable products. Take the personalization one step further with the ability to powder coat the panels of True refrigeration with any of Brown Jordan Outdoor Kitchens exclusive powder coat finishes.